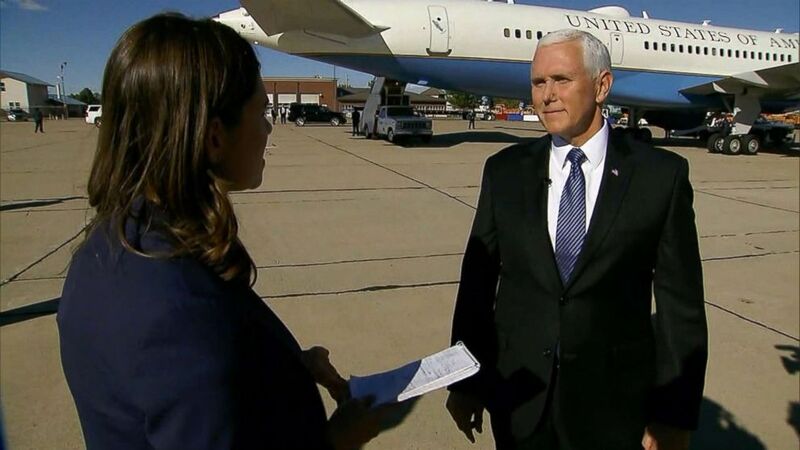 Pence told ABC News that Trump will "take action" to stop the migrants. 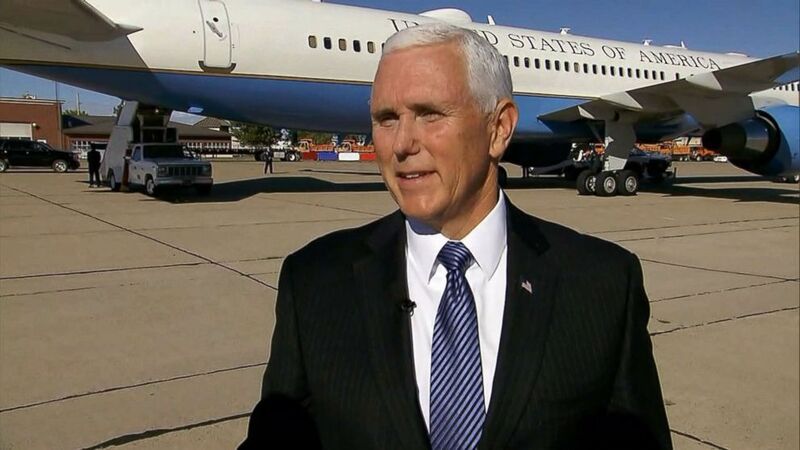 As a caravan of migrants makes its way to the U.S.-Mexico border, Vice President Mike Pence would not rule out the option of closing down the border ahead of the midterm elections, he told ABC News in an exclusive interview. When asked if President Trump is considering an executive order to stop all immigration at the border, Pence said: "What we need to do is secure our border. The president will take steps to do that. But we also need to reform our laws." Without going into details of potential options, Pence mentioned President Trump's latest measure -- sending U.S. military to the border. There are reports that the president is considering even more drastic measures, like blocking all central Americans migrants and asylum seekers from crossing the U.S. border. The New York Times reports that the President will announce his plans in a speech on Monday. 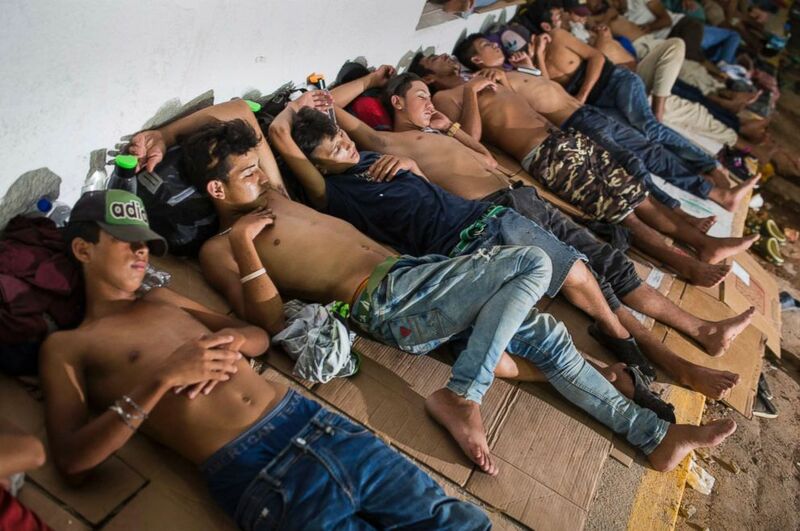 (Rodrigo Abd/AP) Young migrants rest on pieces of carton boards in Arriaga, Mexico, Oct. 26, 2018. On Friday, the thousands strong caravan made its most ambitious single-day trek since the migrants crossed into the southern Mexican state of Chiapas a week ago, a 60-mile (100-kilometer) hike up the coast from Pijijiapan to the town of Arriaga. A senior White House official tells ABC News that Trump is exploring these options, among others. When asked if the president will change the current asylum laws, Pence said, "The laws of the United States will be in effect, but honestly what we need to do is change the laws." Immigration is a hot-button issue on the ballot ahead of the midterms. Pence is on a mid-Western swing in both New Mexico and Arizona, pushing for stronger border security. When asked if the president would take more action to close down the border before the midterms elections, Pence said: "The president is going to take action. We're not going to allow this caravan of thousands of people to come into our country illegally." The caravan of approximately 6,000 central American migrants is currently about 1,000 miles from the U.S. border.